As inbound marketers, we create a lo-hot of content. It fuels our whole marketing strategy, after all! But when you think about all the different types of content a marketer creates, that which helps to attract website traffic and convert visitors into leads tends to get the most attention. But there's a lot more to it, my friend. While this educational, top-of-the-funnel content is vitally important, let's not undermine the importance of bottom-of-the-funnel marketing content -- content that communicates the functionality and benefits of your product/services -- and content that enables your sales team and helps them sell. 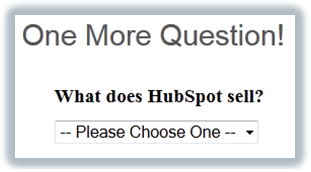 Try HubSpot's free CRM software here for even more sales enablement tools. We bucket these two types of content together because they usually fall under the responsibility of a company's product marketer(s) to create. And admittedly, we don't tout the value of product marketing enough on this blog. That changes today. Product marketers typically create that more bottom-of-the-funnel content that caters to prospects who are closer to the purchase stage in the buying cycle. These prospects are actively considering your solutions and are thus looking for product-focused information to help them make their decision. As such, product marketing content can be critical in helping convert those truly qualified leads into paying customers. Furthermore, because product marketers -- particularly those operating in a B2B setting -- also bridge the gap between product developers and salespeople, they also focus a lot of their efforts on sales enablement, creating content to A) educate their sales team about how to position and sell their products and services, and B) provide salespeople with the collateral they need to make selling easier. So if you're ready to be a better sales and marketing enabler, we've compiled a list of the various types of content you can create to A) cater to those bottom-of-the-funnel prospects, and B) help your sales team be more effective sellers. We've divided our list into these two categories, but keep in mind that some of the product marketing content we list can also be used to enable your sales team -- and vice versa. Video can be a great way to communicate how your products work and how they help your potential customers, particularly for products that lend themselves to a more visual explanation. They're also great for giving site visitors a quick overview of what you offer (like the first HubSpot software overview video below) as well as providing deeper dives into specific product features and use cases (like in the second video below about HubSpot's Contacts tool). So once you produce those handy dandy product videos, where should they live? One asset that product marketers typically manage is a website's product pages. These pages should highlight your various product and service offerings and provide the information that prospects are looking for to conduct product research and understand what you sell. Depending on what that is, these pages may be organized in a number of ways. 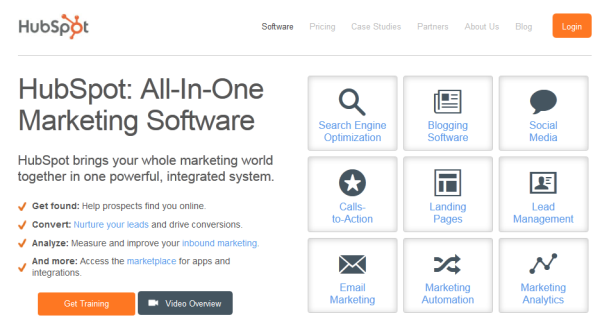 On HubSpot's product pages, for example, we provide both a general overview of what HubSpot's all-in-one marketing software includes, in addition to a deeper dive into the features of the individual tools within. In your product pages, aim to A) feature your various individual product/service offerings, B) describe how they fulfill a need or solve a problem your audience has, C) and highlight any points of differentiation. And hey -- those handy product videos can definitely help you achieve these goals, too. Right now you're probably all like, "But I thought we inbound marketers were supposed to use our blog for thought leadership and attracting visitors through educational, industry content?" 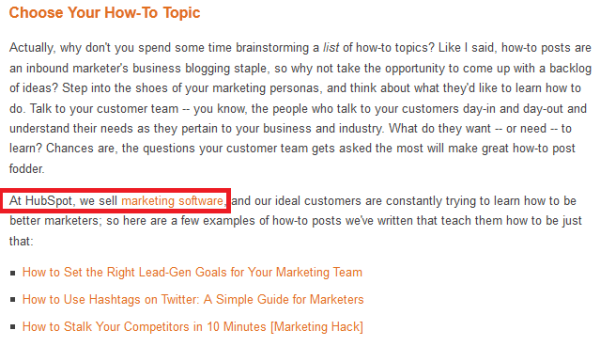 Of course you are, but that doesn't mean you can't also have a separate blog dedicated to product updates. You could also use this blog to announce company news, making it a combined company product and news blog. Use this blog to communicate significant product, service, and feature updates -- as well as noteworthy company news -- and house it within the product section of your website. It's also okay to incorporate subtle product mentions into your main blog from time to time. In fact, you'll notice that we do it on this very blog. Check out how we did it in the example below, which is an excerpt from our blog post, "How to Write Stellar How-To Posts for Your Business Blog." Just do so in moderation, avoid over-the-top product promotions, and be sure that the main focus of your educational blog is always ... well, education. Case studies that highlight the success of your current customers are an extremely powerful product marketing tool. In fact, they're one of the items on our list that could be classified as both product marketing and sales enablement content. They add a lot of credibility to your product marketing and prove the true value of your products/services. In your case study content, be sure to demonstrate the customer's challenge, highlight how your solution addressed that challenge, and feature the outcome/results (quantitative and/or qualitative). 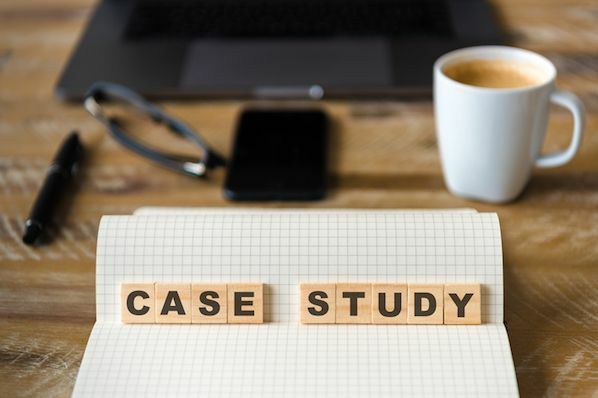 To learn more about how to create effective case studies, check out our comprehensive blog post, "The Ultimate Guide to Creating Compelling Case Studies." Another great way to prove the value of your solutions is to compile regularly updated ROI reports based on the success of your customer base. If this type of content is applicable to your business and the products/services you sell, you can compile these annual reports by either analyzing any customer data you have access to, or by surveying your customers about the results they've generated. In addition to any educational, top-of-the-funnel webinars you might host, group product demos are another great type of webinar you can try -- and they make really great product marketing collateral, too. Particularly suitable if you're in the software business, live group demos can save your sales team the time of administering individual, one-on-one demos and can be promoted both to marketing leads as well as the leads your sales team is already actively working. Bonus: If you record your live demos, these can also be repurposed and used as product demo videos featured on your website. Smart inbound marketers attract new website visitors with industry-related, top-of-the-funnel content. But because this content tends to be more educational in nature rather than product-focused, product awareness can be a challenge for some businesses. Administering product awareness surveys to your leads can be a great way to get a pulse on what your audience thinks you sell. It can also help your product marketing team measure how effectively their efforts are achieving product awareness goals over time. Emailing the survey to a segment of your leads or adding the survey to some of the thank-you pages for your marketing offers can be a great way to collect responses. And for more information about conducting successful online surveys, download our free ebook, The Ultimate Guide to Using Surveys in Your Marketing. In order to maintain an effective sales team, your salespeople must constantly be on top of the best ways to position and sell your various products, services, and individual features -- particularly if your product developers are coming out with new additions on a regular basis. Create presentations and dedicated training sessions that educate your salespeople about how these new features work, their individual use cases, and the best ways to position these features to various buyer personas and specific segments of your audience. So how do you know what subject matter your sales team needs to be trained on, anyway? One great way to gauge their knowledge level of your various products, services, and/or features is to administer quizzes. 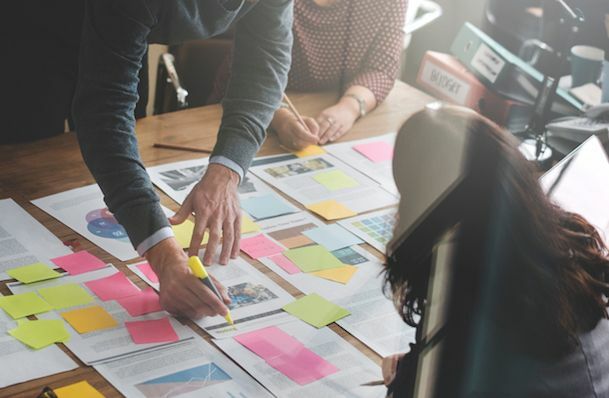 Doing so enables your product marketing team to identify the areas in which your sales team could use some additional help, training, and product knowledge. 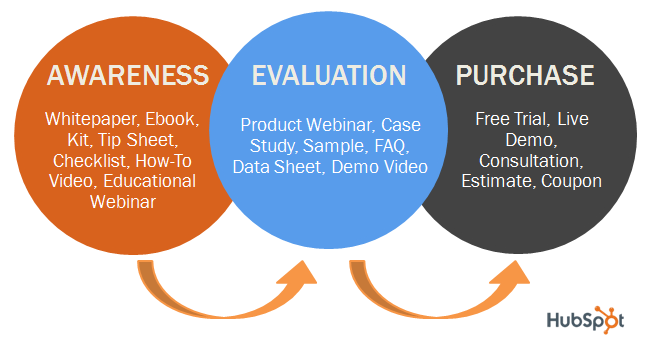 This allows product marketing to focus their content creation and sales enablement efforts in the right places. An overview sheet is a document your sales team can distribute to the leads they're selling to. While it doesn't go into a whole lot of detail, it may provide additional information to what is publicly available on your website and product pages. These sheets can (and should!) 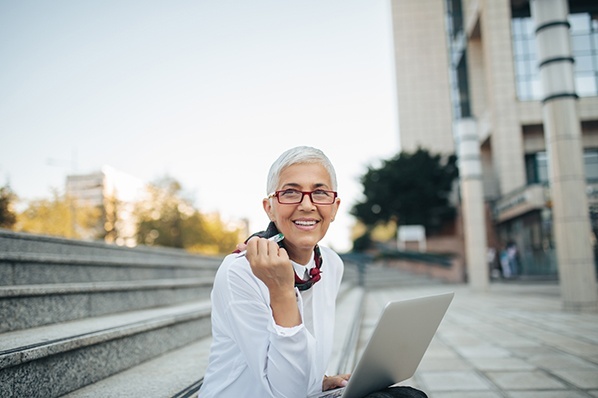 also be tailored to individual personas, enabling you to address those buyers' unique problems, needs, and challenges -- and how that product provides a solution. Because overview sheets are distributed to prospective customers, keep in mind that they should stick to your company's branding, design, and style guidelines. "So how is your product any different than Competitor XYZ's?" If this is a common question your sales team gets asked by prospects, it might be helpful to create some kind of competitor comparison matrix that helps your sales team understand and communicate your differentiation from competing products. Is it pricing? Is it feature availability? Maybe it's your extremely helpful customer service packages. Whatever it is, create and provide these matrices to your sales team for when they encounter prospects who are having trouble grasping why you're so much more awesome than Company XYZ. This being said, be sure your marketing and sales teams aren't obsessing about competitors. Instead, they should be putting most of their focus on customers. Competitive information should only be used to educate your staff so they're prepared to answer questions that arise about how you and your competitors compare. It should not be used as fodder to send to leads or bad-mouth other companies. A "how to sell" page is a resource used to provide your sales team with all the information they need to effectively sell a particular product, service, or feature. You can consider each of these pages as the home base for your sales team to learn about what they're selling, and you should publish these in a central location where your sales team can easily access them when needed, such as an internal wiki or some other internal file sharing service. Your "how to sell" pages should include the problems/challenges/needs the product addresses, questions salespeople can ask to determine if a prospect is a good fit, how the product works, the features it includes, the buyer personas it appeals to, use cases, screenshots/images, competitive positioning tips, etc. It should also include links to other helpful resources such as that particular product's public-facing product page on your website, training decks, overview videos -- and any of the other content we've mentioned in this blog post pertaining to that individual product. Product marketers also have the unique challenge of doing internal marketing. As we said before, product marketers are usually the liaisons between the product development team and the rest of the company. 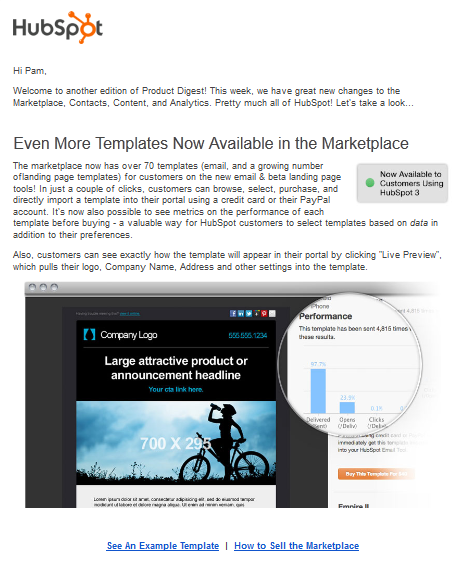 One particularly great way for them to share news and information about new product features and sales enablement content and resources is to send regular product digest emails. These emails should provide important new information salespeople and marketers should know about products as well as link to additional resources, like the "how to sell" pages we just talked about. 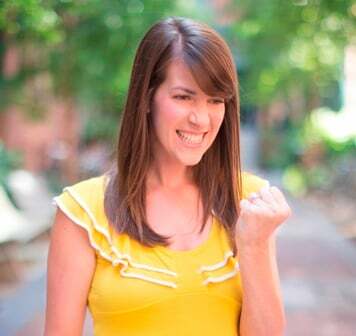 And you don't have to reserve these sends just for your company's salespeople and marketers. There's a good chance everyone in your company would also benefit from learning about what's new in product marketing land, too! What other types of product marketing can you create to boost your bottom-of-the-funnel marketing and help your sales team sell?